Disclaimer from Aurora: I have received the adapter for free from Srident in order to do the review. I promise to point out any flaws and give a non-biased review. Read the text in bold carefully and please read the whole article before forming an opinion, buying it or commenting about a shortcoming. After lots of hype, various posts on Reddit, tweets on Twitter and articles on here, the SD2Vita adapter is finally here. Without further ado, let’s start off the review of this spectacular piece of hardware that set the scene on fire! Thoughts on postage: When the adapter arrived at my home, it came in a padded envelope without any extra things which made for a clean package. The French Postal Service (La Poste) seems to offer a great service to European countries as the adapter was shipped on Friday and arrived to my Southern European place of residence on Monday before noon! Appearance and build quality: The front has a turquoise-esque colour and with the exposed traces on the front gives off a geeky look which in my opinion, goes really well with this type of hardware accessory. My adapter came with a piece of blue tape, that seems pretty solid to me, which covers the connection between the PCB and the microSD card socket. I can assure you that the tape doesn’t interfere with the ability to let you slide your adapter inside your Vita. 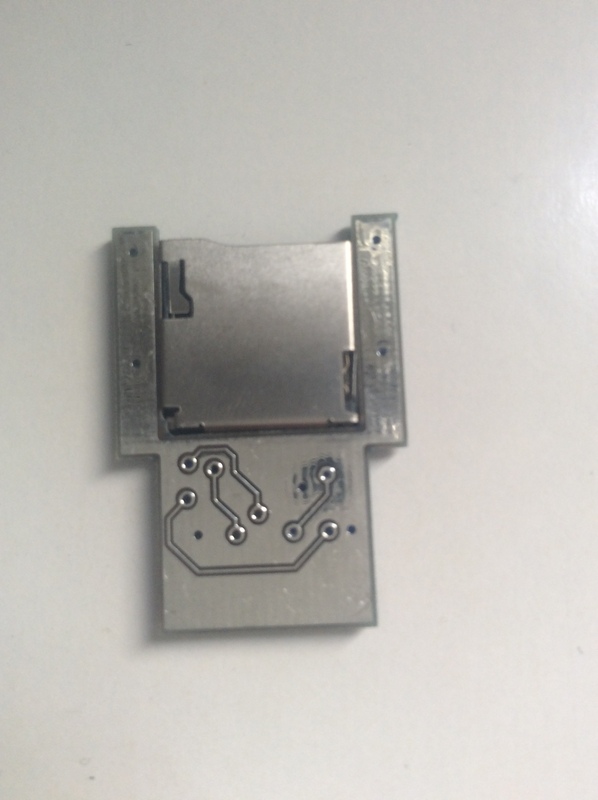 The backside of the adapter is a material that seems to be some type of metal and you can also see some PCB traces on it. I personally like the fact that it’s shiny therefore reflective as it gives it a premium feel. 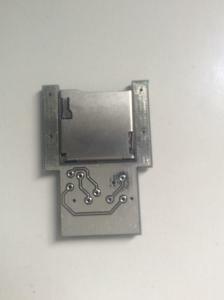 The microSD card socket has a spring so that when you put your microSD card in, it clicks to let you that your card in. In terms of thickness, I don’t see any issues and the adapter doesn’t flex one tiny bit. I doubt that the adapter will break easily and it shouldn’t break during normal use. An important thing to note is that the adapter DOES NOT click in when you insert it so you have to insert it all the way yourself. To install it, you may need to rock the adapter back and forth. 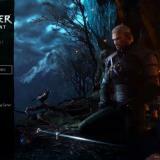 I recommend you check the video tutorial of Modsiah which was covered in a previous article. As a precaution, I wouldn’t recommend that you take it out too much as it’s a bit annoying to take out. I used a small aluminum stick in order to get it and after rocking it gently, it got out. Avoid taking out the adapter when your PSVita is on as it may damage your Vita and/or adapter. Replacing the microSD is a pretty easy job. IMPORTANT BIT OF ADVICE WHEN YOU INSTALL THE ADAPTER: Make sure you install the adapter properly. 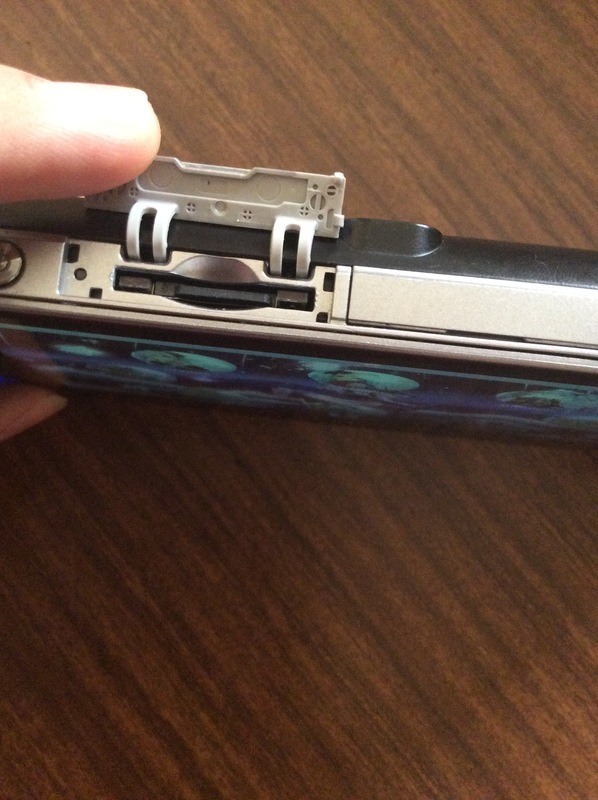 To do so, you must insert the adapter with the connection pins (on the turquoise-end) facing the BACK of the Vita and NOT the front. If you insert it incorrectly, your Vita may not boot up as it did for me. Once you put in the adapter, leave it there. You can easily change the microSD while the adapter is in the game cart slot as demonstrated in the picture at the right. I would suggest you dump any PSVita game carts you have via maiDump rather than constantly swapping game carts so that you don’t damage the adapter. First of all, install the driver (in the form of a plugin) on your Vita and prepare your microSD card; to set it up, you can follow the link of the setting up article below. Note on putting your microSD card into a computer: For me, copying files onto the microSD card after putting inside the Vita worked. For your safety, I recommend that if you need to put files on the microSD card (such as when you copy your Vita memory card’s contents), do it before you stick in the microSD in your SD2VITA adapter. To add something afterwards, do it via USB or FTP. Hot swapping microSD cards is not advisable. For your own safety, don’t remove the microSD card while the red access light on the game cart slot is blinking as it may corrupt your microSD. With the adapter mounted as uma0, everything worked properly and I had no issues with any games or homebrew whatsoever that were on my Vita memory card. Copying speeds from my Vita memory stick to the microSD in the SD2Vita adapter are about 4-5MB/s but that will probably depend on the type of microSD card you use (although I did expect slightly higher speeds since my microSD is a Class 10 one – atleast 8-10MB/s like I get on my computer). I also tried using the adapter as ux0 by copying some folders over from my Vita memory card and stuff seemed to work just fine too. Age of Zombies, an official game, worked just fine off the SD2Vita adapter and I couldn’t spot any longer loading times. Adrenaline also worked just fine (I copied the adrenaline folder to ur0 and the microSD so that there aren’t any path changes when adrenaline.skprx is initially loaded, I changed the adrenaline plugin path to ur0 too in config.txt). mGBA, an emulator, also worked well. Make sure check your file paths in taiHEN’s config.txt and have all your plugins in ur0: since path changes will not let taiHEN start up properly. It’s not recommended you only copy parts of the Vita memory card to the microSD adapter as you’ll just be asking for trouble especially if you forget VitaShell. Either copy the whole Vita memory card to your microSD or don’t do it at all. HENkaku R6 can get you out of any bad situations as it doesn’t use taiHEN’s plugin folder. This section of the article should be applicable to all SD2Vita adapters, regardless of the manufacturer. I could not fully use it as ux0: but I copied some stuff to my adapter as my microSD card does not have enough storage for my whole memory card and everything worked just fine considering you use the proper paths in taiHEN’s config.txt for everything. I personally believe that this adapter is pretty decent and I’m very proud of Srident for the great adapter he produced! I’m also pleased at the fact that the community was able to get this adapter produced in big numbers for all of the PSVita community to enjoy. In terms of improvement, I would like to see a piece of paper in the envelope explaining how to put in the adapter in your Vita when you receive it. On the software side of things, I would also like to see some utility (a la Applications Storage Manager but for uma0) that lets you move applications from ux0: to uma0: or the other way round to cater for those that don’t have a microSD card larger than their Vita memory card or simply want to use their Vita memory card for some reason. There has been talk on a case for the adapter and that’s something that I’d really like to see but the bare PCB is aesthetically pleasing nonetheless in my opinion. Cases may not be usable with different adapters as different adapters could have different thicknesses. Overall, I can say this adapter is pretty solid, will probably last you a long time, works well and I recommend you get one for your PSVita even if you’re just going to use it as external storage. THIS ADAPTER ONLY WORKS ON PSVITA SYSTEMS THAT ARE ON FIRMWARE 3.60 WITH TAIHEN/HENKAKU, IT WON’T WORK WITH ANY HIGHER FIRMWARE SO STOP ASKING! I WOULD ALSO RECOMMEND YOU HAVE A COPY OF HENKAKU OFFLINE INSTALLER FOR ANDROID SO IF YOU MESS UP IN TAIHEN’S CONFIG.TXT, YOU WOULD BE ABLE TO INSTALL HENKAKU R6 AND FIX STUFF FROM THERE. Srident’s 3rd batch which was a pre-order batch ran out but he’s planning to do more. To get one now, you can get a very similar adapter from Modisah from the link below. Special thanks goes to Srident for the review copy of the adapter (good job! 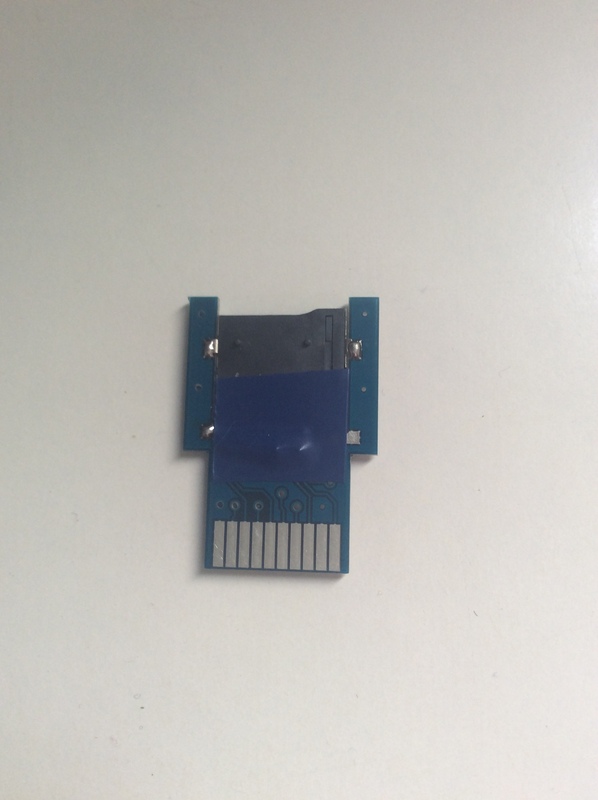 ), xyz for the adapter design, motoharu for the software patches, Modsiah for the tutorial video and his big production run and the whole community for helping to make this adapter a reality! The days of expensive PSVita memory cards are OVER! I wouldn’t quite say the days of expensive memory cards are over per se until we have an adapter that fits into the memory card slot. I thought the packaging was severely lacking. The adapter could easily be damaged in transit with so many exposed bits. Was yours damaged? No? Then quit whining lol I’ve seen well packaged items damaged by the post office. I wouldn’t call it whining, it’s just a concern i can share. I know how the german post office sometimes handles packages and letters. Seeing the SD2Vita in my letterbox in a thin padded envelope had me worried at first as well. Iwould have wrapped the thin PCB in a thicker piece of cardboard box to prevent any damage from bending. But in the end, once I inserted the SD2Vita into my Vita device and seeing that it worked I was less worried. And as I have paid with paypal I knew that if it were broken I could easily get a refund anyways, it would just have been annoying to deal with that. No, but it could have been. I’m sure some probably were. It just looked like everything was hastily slapped together. Telling me to “quit whining” is simply rude and unproductive when I have a legitimate concern. preordered mine since even though I was waiting for the go from srident, the 2nd batch sold out in 23 seconds. looking forward to it. That’s something that will never happen. 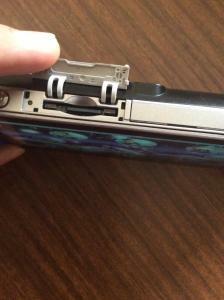 Now that SD2Vita has arrived there is no need for an adapter to fit on the memory card slot. So then, yes, the ridiculously expensive sony memory cards days are over for good. Sadly where I live there are some MoFos resellers that pretend to sell SD2Vita adapters at a ridiculously expensive price, emulating sunny. My advice is not to buy from them. 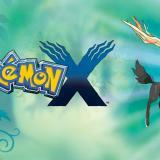 Again, at least in a foreseeable future this won’t happen. No news about somebody looking for an entry point on Vita with firmware version > 3.60. I’d prefer even more a way to downgrade, instead of a hack for those versions. This would unify everything in the Vita scene as all “work” would be done on a specific firmware, instead of many variations of it, as it did happened on PSP days, but that’s another story. Just a reminder, if you press and hold L trigger while HENkaku is loading, you can disable TaiHen from parsing the config file and loading plugins. Then go fix your config in VitaShell and reboot. Holding L also stops HENkaku from hooking the Settings menu, meaning the Vita reads the spoofed firmware version directly, showing 3.65 in the System Information; don’t freak out if you see that.
" I changed the adrenaline plugin path to ur:0 too in config.txt"
Do you mind writing out the path so that I can copy and paste please, I’m not to literate when it comes to that? Would be a great help. I have a question about using a gamecard. Once you have the SD2Vita adapter connected, are you then able to later insert your normal gamecard and play without any issues or do you have some steps you need to take to make this happen again. I don’t particularly want to dump my Game cards if i don’t need to, but looks like I might have to if I want the extra space. From reading the article, I see that you can, but it’s a bit tricky and might damage your adapter in the long run. Personally I’d like an adapter that clicks in place and is removed in the same way as game cards. I’d like something lika a comparison article between the two “models” available so far of the SD2Vita adapters (Modsiah’s and Srident’s), as I’d like something specific that made me decide between them both. Specific as in build quality (the most important point), price, and so on. Another thing, is that mounting SD2Vita’s microSD card as ux0, would allow me to enable SAFE MODE on Molecule/VitaShell options when running my dumps, and that is somewhat a safe measure IMO. Also, what would happen if I don’t have a Vita memory card but mount only the microSD on SD2Vita? Seriously hope a 200GB or 256GB MicroSD Card will work for those like me who will want to use those. This should work for those on HENkaku 10?????? I can tell you 200GB works. Bought a 200GB card for my Switch but then never bought games for it, works great for Vita now. Nah, this goes in the hame card slot, so it’ll work with any Vita on 3.60 firmware. This only works on 3g ps vita, right? There are a lot replicas in ebay or alibaba from China.. I feel bad for whom made this happen…..
For $10 difference, please support the originator ….. only problem is availability. Also, please someone with 3D model expert make 3d print for the case just like PSV game card and have opening on the top…. Then we can do 3D print for the case. That’s exactly what I’m waiting. Hoping for a adapter game card like. XYZ who IIRC made this card didn’t produce or sell any. So how exactly are you supporting the “originator”? These guys are doing the same thing as China, copypasta. i feel bad for not having one yet, searching now and then i’ll buy from anyone (with good rating). I really don’t care from who im buying, as long as i get the thing… this is the world, son. I went ahead and bought the adapter from Modsiah instead. Srident didn’t prioritize the first 2000 preorders, sold them all on ebay to whoever was the fastest and then went on to make another preorder form. His original preorder from was garbage and useless. All you got was an email telling you to check on twitter. Not interested in dealing with someone like that. i would rather choose to get one From Srident then others as it seems that his are working Where as others are selling with the Test Points. and could easily Short the entire Chip / Psvita even.. so But to each there own. I feel the same, I think this guy just make the “pre-order form” just to check how much profit he can get. Because he never respect the pre-orders forms. I feel one of the most important bits of information was left out.. How much of a hit does the battery life take when using this adaptor? unknown until someone tests them as well as a normal game Cart, and to be used same amount of time i mean how much does a game cart use to begin with? Reminder that these are $8-$10 on aliexpress right now. The $10 version have gold plated contacts. The each card is just costing $5/10pcs in the factory , and many people orders to make the cards themself. I also made some cards , but I have no energy to sell them. I mean nothing but the cards are wery cheap in China. The cards are working good now. I waited and bought the first batch of Srident’s microsd card adapter. I can it works well no issues. A case would be ideal to protect it when it comes out of the game card slot sometimes, when i try and eject the microsd card. I copied my whole vita memory card to the microsd card and copied config file (in ux0 tai folder) to ur0 tai folder. And once booted…everything works. Tested…ps vita games…ok. Just make sure you watch youtube videos before attempting anything. Excellent work and credit to everyone who put so much effort to design and create, and help all ps vita users get the best use out of the vita by increasing storage space. Anyone knows how i can contact the Author? I’d want to discuss some stuff. has anyone ordered and gotten there yet? My SDCARD runs as ux0 , but my computer keeps connecting(by usb) to uma0.How to fix it? I’ve tried 128gb Transcend memory on Messiah sd2vita and it didn’t work as expected. No bubbles showed up. After 2nd reboot, the memory was corrupted with missing files. Tried with another brand 64gb and it worked. Srident is a scammer, don’t buy from him. He’ll just take the money and won’t ship anything.